Late singer's London house snapped up after originally being put up for sale in May for $4.3 million. The home in which Amy Winehouse passed away sold at auction. If every house tells a story, then the new homeowners of this London abode have a tragic, if essential, one to share. Amy Winehouse's Camden Square home where she died from alcohol poisoning in 2011 has been sold at auction for $3.2 million, the BBC reports. Five bidders duked it out for the elegant three-bedroom house, with bidding starting at $2.7 million, and the auction catalog reportedly made no mention of Winehouse's name. The 27-year-old chanteuse was found dead inside the home on July 23, 2011, and it quickly became a de facto shrine to grieving fans, who came bearing flowers and set up memorials outside. 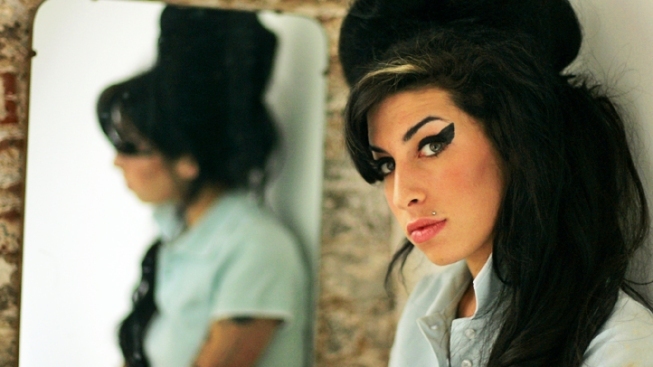 Winehouse's family had initially planned for the house to be the headquarters for the Amy Winehouse Foundation, a charity set up in her honor. Instead, they decided to put it up for sale in May for $4.3 million, but the home failed to find a buyer. Last month, the house hit the news again after Winehouse's wedding dress, which she wore to her 2006 nuptials to Blake Fielder-Civil, was stolen from it. The dress had been valued at $210,000. "It's sickening that someone would steal something in the knowledge of its sentimental value," the singer's father, Mitch Winehouse, lamented.